If you sit down with any experienced graphic designer, they’ll happily talk to you for hours about the importance of typography. It’s everywhere you look, from huge billboard ads to the front of your favorite t-shirt. 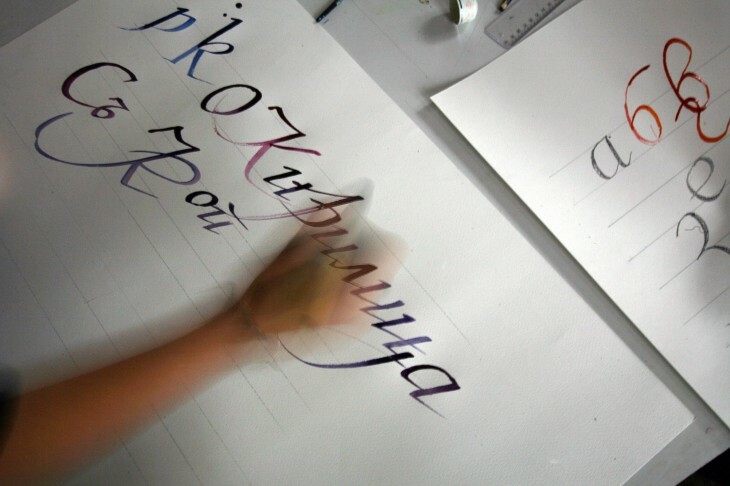 Type can reflect many emotions, but most of us rarely notice its profound impact. Notegraphy is an iOS and Web app that wants everyone, regardless of their experience in Adobe Illustrator, to have fun with typography and create vibrant, sophisticated examples that can then be shared with their friends online. 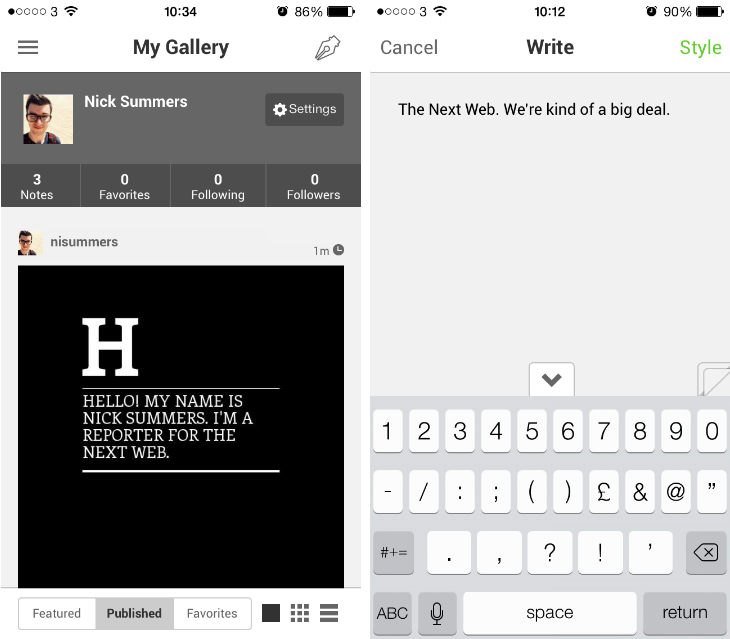 Just as Instagram made photo-editing dead simple and accessible, Notegraphy wants to do the same with type. The iOS and Web app are almost identical in their functionality, but for the purposes of this review we’ll just be running though the mobile incarnation. For starters, you’ll need to tap the pen icon in the top right-hand corner of the screen, and then write out your chosen quote or phrase, just as you would in a traditional text editor. Notegraphy then offers a number of different templates, referred to as Styles, to transform your text into a beautiful piece of typography. They’re lined up from left-to-right along the bottom of the screen, and tapping each one will show you an updated preview near-instantaneously. The app offers three different color combinations for each Style, but otherwise that’s all there is to it. Once you’re happy with the note, just tap Publish in the upper right-hand corner, before adding a title, some tags and deciding whether or not you would like it to be shared on any of the following social networks: Twitter, Facebook, Instagram and Tumblr. 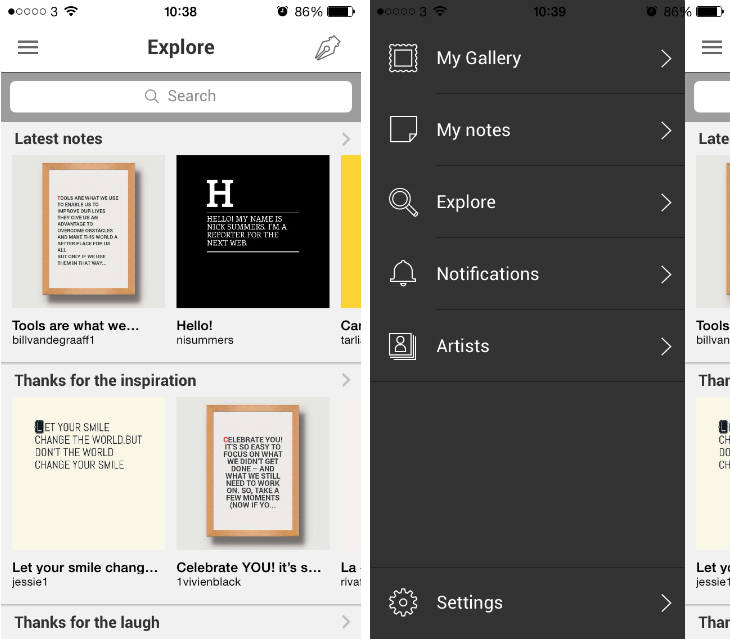 Notes can also be kept private, or saved to your Camera Roll for further editing in third-party apps. When you’re done, it’s just a matter of hitting ‘Publish’ and admiring your handiwork. Notegraphy is a self-contained social network, similar to Instagram, but it feels a tad unnecessary given that most users will be sharing their typography to other, likely more populated social networks. That could change if Notegraphy is able to build a community of its own, but for now some of its built-in features, such as profile pages and the Explore discovery area, feel a little lifeless. Notegraphy isn’t going to teach you about baselines, leading, tracking or kerning. 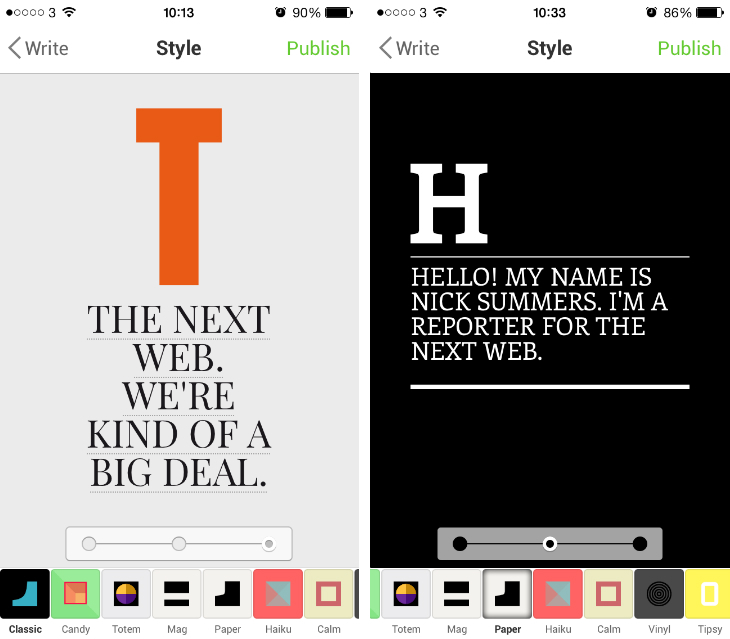 In short, this isn’t a typography app for hobbyist or professional graphic designers. It will, however, give you beautiful looking notes that can be shared almost anywhere on the Web with minimal fuss. It really is the ‘Instagram of typography’. Easy to use and with a great selection of one-click filters (sorry, Styles), Notegraphy is a lovely little app to get lost in.